Our Food Pantry Ministry needs your help!! 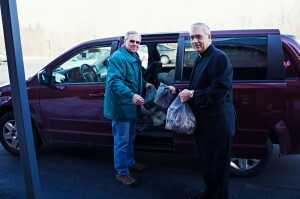 We collect food, toiletry and cleaning items for area food pantries year round here at St. Mary’s Crescent. This ministry is in need of parishioners to donate items to the pantry, but we are also always looking for volunteers to transport the food from St. Mary’s Crescent to the local food pantries. All Food Pantry items may be placed in the Food Pantry Box that is located in the main entrance of the Church to the right of the St. Mary of the Expectation Statue. Thank you, your generosity is appreciated.